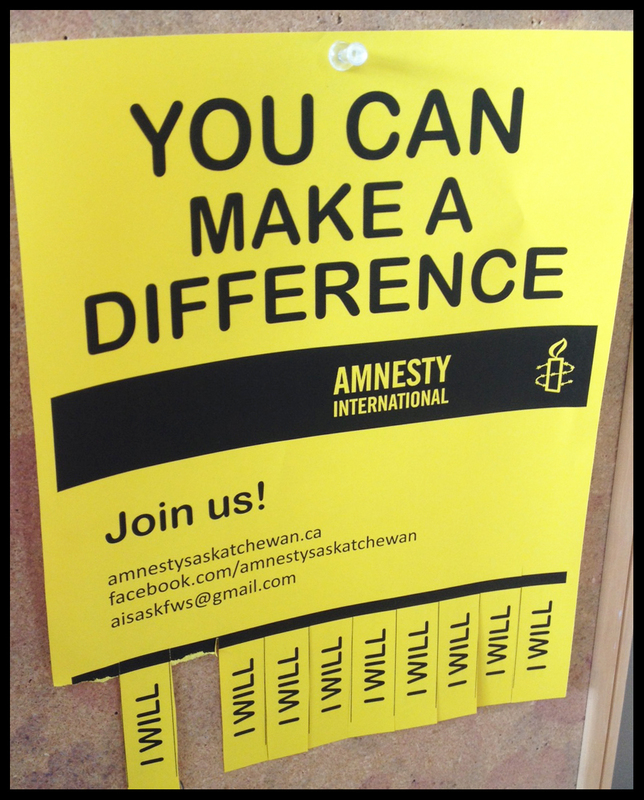 Where ever you live in Saskatchewan you can make a difference. Your passion for human rights, your skills and experience are crucial to helping us build a stronger movement of activists in Saskatchewan. Join one of our existing groups or consider starting a community group or action circle where you live. We can send you some posters and other information for sharing in your community.